The Toasted Yolk Café, an emerging restaurant concept putting an emphasis on breakfast and lunch and eliminating late-night restaurant hours is looking to grow in the Texastriangle region (greater Houston, San Antonio, Austin and Dallas/Fort Worth) and all non-franchise registration states. Chris Milton, CEO of The Toasted Yolk Café, believes it’s the concept’s freshness and high-quality dining options that’s led to its emergence. Interested franchisees should possess at least $280,000 in liquid capital, but third-party financing options are available. PETA launched a brand-new billboard campaign that actually encourages people to eat at Taco Bell locations all across the U.S. The billboards feature a chicken’s face next to the words “Let’s All ‘Live Más.’ Would It Kill You to Get a Bean Burrito?”—playing on the company’s famous tagline in order to promote the fast-food chain’s certified vegan food offering. Signs will run on billboards and in bus shelters less than a few hundred feet from Taco Bell restaurants in Florida, Georgia, and New York. PETA—whose motto reads, in part, that “animals are not ours to eat”—and its youth division, peta2, have even prepared a guide for eating vegan at Taco Bell, available here. The chain has reported that its bean burrito is its second best-selling item. As part of the campaign, PETA’s famous “Lettuce Ladies” will also be handing out free bean burritos outside various Taco Bell locations. Fazoli’s completely removed all artificial sweeteners, flavors, preservatives and colors from its entire food menu. America’s largest fast casual Italian restaurant is the first national brand under 1,000 units and the third restaurant overall – behind Panera Bread and Chipotle – to offer a completely clean food menu. Fazoli’s and its franchisees operate nearly 220 locations in 25 states. Additionally, the eatery signed an agreement with the TA Restaurant Group, a division of TravelCenters of America LLC (TravelCenters), operator of the TA® and Petro Stopping Centers® travel center brands, to bring its restaurants to highway travelers across the country. The Lexington, Kentucky-based company has finalized a deal to open four new locations in Connecticut, Oklahoma, Texas and Michigan TA and Petro locations over the next year. The first of the four restaurants will debut late this summer in Milldale, Connecticut, followed by two more opening early fall at TA and Petro locations in Oklahoma City, Oklahoma, and San Antonio, Texas. The fourth is slated for early 2018 in Monroe, Michigan. Fazoli’s supply chain is currently 80 percent clean of all artificial ingredients, and on June 19th, will be completely clean of all artificial sweeteners, flavors, preservatives and colors. To achieve this important milestone, Fazoli’s has invested more than $1.5 million. As part of its “Naturally Italian” initiative, Fazoli’s worked closely with nearly 50 suppliers to guarantee that a total of 81 artificial ingredients, colors and preservatives were eliminated from its food menu. A few of the additives being removed from menu items include Calcium Propionate, Nitrates and Sodium Benzoate from its proteins, salad dressings and signature breadsticks, as well as artificial flavors, colors and high-fructose corn syrup from all desserts. Several of Fazoli’s menu items were already clean including all unfilled pastas, its signature marinara sauce and fresh salads. Fresh brewed tea will be clean, as well, and made with pure cane sugar. Starting June 19th the brand will also be rolling out a new premium menu in its 122 company-owned locations across the country. The remaining 91 and all new franchised locations will feature the newly upgraded menus in January 2018. Fazoli’s has refined its menu offering to bring more flavor and customizable menu options to meet ever-changing consumer tastes and preferences. Fazoli’s clean eating initiative is a significant part of the company’s brand turnaround, which has been fueled by its strong financial performance, underscored by 15 consecutive quarters of positive same-store sales growth. In addition, Fazoli’s franchisees are experiencing nearly three times the industry average growth rate with new franchised restaurants continually setting new systemwide sales records. Building on this financial success, Fazoli’s will begin remodeling select locations with a new, contemporary look and feel to create a better customer experience for its guests. Several locations are scheduled to be remodeled through this summer and will feature textured white brick and other natural materials, as well as Wi-Fi bars and communal dining tables. Fazoli’s is currently seeking single- and multi-unit operators to join its growing, successful franchise network and is targeting new markets across the United States. Most recently, the brand launched a multi-unit franchise development incentive program available through June 30. New franchisees that sign a new multi-unit agreement for three or more locations will receive reduced franchise and royalty fees for the first two years of operations. A reduced franchise fee is also available for new multi-unit agreements for three or more non-traditional units, including college campuses, airports and casinos. Urban Bricks Pizza has more than 120 locations in development after launching the franchise less than two years ago. The concept was founded in the Alamo City by build-your-own franchise veteran, Sammy Aldeeb, who previously owned more than 20 franchise locations between Marble Slab Creamery, Subway and Great American Cookie Co. before launching his own brand. The brand caters to America’s love for delicious, fast yet authentic food. Unlike other fast-casual pizza concepts, Urban Bricks offers delivery, drive-thru and full bar options. Currently there are 11 locations open in Texas and Ontario, Canada, with six under construction and 25 committed leases. There are more than 120 committed stores through Urban Bricks’ master franchise agreements. Franchise investors are breaking ground in Texas, Florida, Illinois, Kentucky, North Carolina, Oregon, Missouri and Canada. “At Urban Bricks, we give people what they want. We’re going where other fast-casual pizza concepts haven’t, and that’s what makes us so successful. We understand guests want to build their own masterpieces but don’t want to wait a lifetime for their works of art to be completed. Our restaurants are hip, and people eat with their eyes first. Our service is fast, yet Urban Bricks still offers the best damn pizza around,” said Aldeeb. For those looking to invest in America’s love for pizza, the total investment, from buying an Urban Bricks franchise to selling slices, ranges from $195,000 to $680,000. Previous restaurant experience is advantageous. The brand is currently looking to expand nationwide, especially in the southeastern corridor between Texas and Florida. 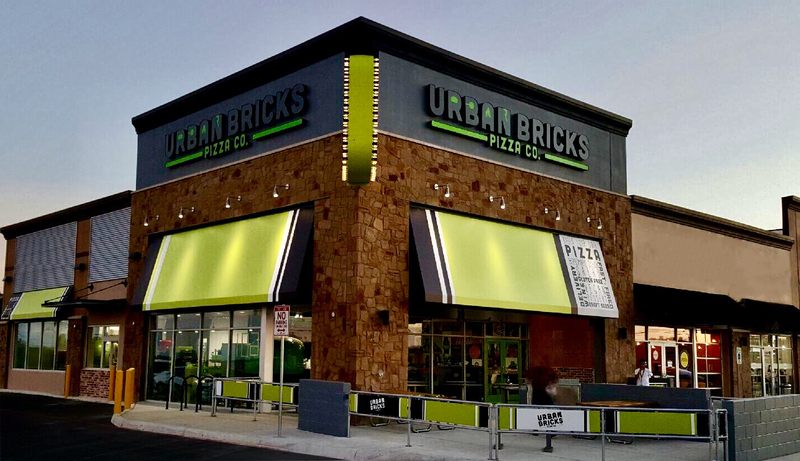 Urban Bricks is the only fast-casual pizza concept to offer master franchise agreements for new markets. For markets where an Urban Bricks Pizza is present, single unit agreements are available. Founded in 2015, the San Antonio-based franchise is set to open more than 50 locations in the next three years. 2017 continues to be a year of firsts for The Greene Turtle Sports Bar & Grille. 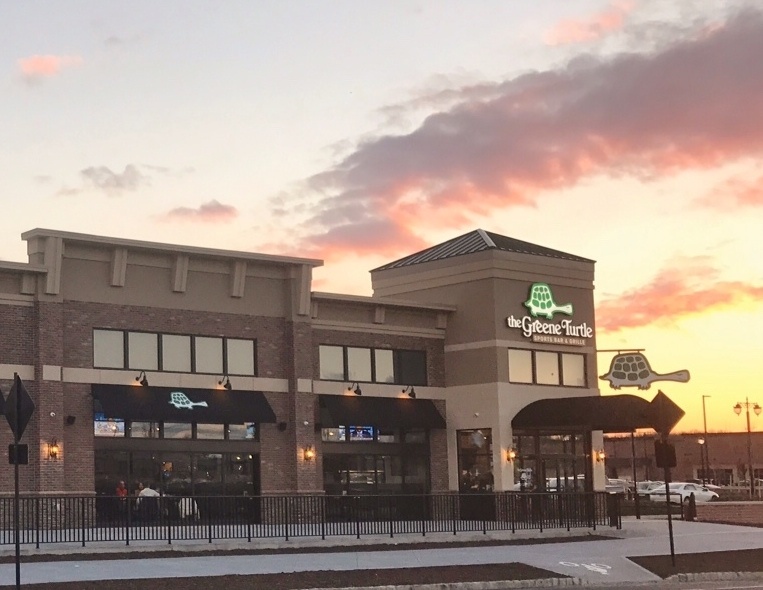 Close on the heels of opening its first New Jersey restaurant and its first location situated within a casino – both areas in which it plans to increase its presence – the Maryland-based family-friendly casual dining restaurant and dynamic sports bar & grille concept celebrated the opening of its first site in Pennsylvania. Operated by franchisees Pranav Desai, Jiger Patel and Rajan Mahadevia, doing business as The Integritty Group, the new restaurant is located in North Wales, Pa (Montgomery County)., at 1100 Bethlehem Pike in the Gwynedd Crossing Shopping Center. This is the chain’s 47th location and is the first Greene Turtle location for The Integritty Group, which plans to open additional locations in Montgomery, Bucks, Lehigh and Northampton Counties. Another strategic development partner of The Greene Turtle also recently announced that it had secured the first location in Central Pennsylvania, in York County, which should open early next year. The Greene Turtle is now actively seeking a qualifying investor to complete its coverage of Pennsylvania by developing eight to ten locations in Pittsburgh and the surrounding Western Pennsylvania region, as well as other development partners to bring the concept to North Carolina, Northern New Jersey and other markets throughout the east. Wahlburgers Waterford Lakes is officially open for business and Fresh Kitchen (FK) will join the restaurant, retail and lifestyle line-up this summer. 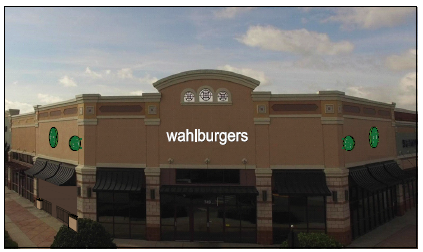 Wahlburgers Waterford Lakes is located at 749 N. Alafaya Trail in Orlando, Florida. The restaurant encompasses 6,700 square feet, slightly larger than the Downtown Orlando location. The restaurant includes a full bar, outdoor seating and offers both full and quick service. The interior décor features photos and mementos celebrating the Wahlberg family’s history. 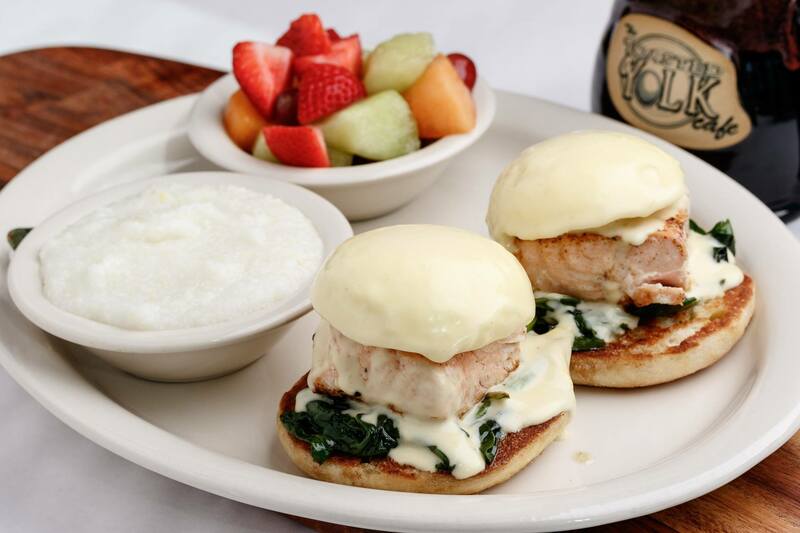 The menu is created by Chef Paul, who has put his own spin on Wahlberg family food favorites. Fresh Kitchen (FK) invites guests to build their own fresh-to-order chef-inspired bowls from scratch. Guests are presented with a diverse array of unique bowl ingredients that change with the seasons including mixed greens, sweet potato noodles, roasted veggies, hormone and antibiotic-free grilled meats, fresh seafood, home-made sauces, flavorful add-ons, fresh-brewed teas, and cane sugar craft sodas. The entire menu is 100% gluten free with vegan options available. It was in 2012 that Ciccio Restaurant Group created their first healthy quick service concept. The Fresh Kitchen brand opened its first restaurant in Tampa’s Soho district in 2014.This was followed by three more launches in Sarasota, St. Petersburg, and Boca Raton, which debuted in November 2015, March 2016, and March 2017, respectively. Earlier this month, Fresh Kitchen entered in to a joint venture partnership with Covelli Family Limited Partnership (CFLP), part of the largest franchisee of Panera Bread stores, nationwide. Both companies have established themselves as active community partners, as evidenced by their expansion into new cities across the Southwest and beyond. Fresh Kitchen Waterford Lakes Town Center will be the second location opened under the partnership; the first of which was Boca Raton. FK Managing Partner, Mac Lynch will help lead the push into Orlando along with the FK/CFLP team. Lynch joined FK in June 2016, after spending 10 years working under award winning celebrity Chef, Roy Yamaguchi, most recently as Chef Partner of Roy’s Orlando. During the first quarter, Tropical Smoothie Cafe signed franchise agreements to open 30 restaurants, which will expand the brand’s presence in new and existing markets nationwide, including Idaho, South Carolina, Maryland, California and Arkansas. Tropical Smoothie Cafe also opened 30 new locations throughout the country, resulting in a total of 570 open restaurants at the end of the first quarter. Additionally, on the heels of reporting comp sales exceeding 26 percent over the last three years at the end of 2016, the award-winning food and smoothie franchise closed out the first quarter with positive comp sales of 4 percent. According to MillerPulse, first quarter sales across the industry average -2.2% showing that Tropical Smoothie Cafe continues to outpace the competition. “We’re experiencing tremendous momentum in this celebratory year and I look forward to working alongside the dedicated Tropical Smoothie Cafe team to build upon this success,” Rotondo added. This year, the food and smoothie franchise plans to open over 100 restaurants nationwide and currently has franchise opportunities across the U.S. in markets such as Indianapolis, Nashville, Houston, Dallas, Cincinnati and Minneapolis, among others. By 2020, Tropical Smoothie Cafe plans to have 1,000 stores open across the U.S. Tropical Smoothie Cafe is looking to add qualified franchisees to its growing brand. Candidates should have business experience; $125,000 in liquid assets and a minimum net worth of $350,000; and an initial investment of between $220,770 and $525,400. The better-for-you food franchise currently boasts an average unit volume (AUV) of more than $662,000 — the highest in the company’s 20-year history — with the top 50 percent reporting an AUV of more than $846,000. Tropical Smoothie Cafe’s aggressive franchise growth is backed by the entrepreneurs at the BIP Franchise Accelerator, a division of venture capital firm BIP Capital, which invested in the brand in 2010. BIP Capital has invested more than $250 million in emerging, high-growth brands across the franchising, software, and technology and consumer products industries. BIP Capital created the BIP Franchise Accelerator to leverage its leadership team’s deep franchise experience to help emerging brands accelerate their growth. In addition to Tropical Smoothie Cafe, the BIP Franchise Accelerator’s portfolio includes Tin Drum Asian Kitchen, which has grown to 11 locations in Georgia. Peter Ortiz joined Überrito as Chief Development Officer, where he is leading the effort to establish Überrito as the premier concept in the fast casual Mexican food segment. Ortiz’s hiring reflects the company’s commitment to national franchise development. The company operates five Houston-area locations and two Phoenix locations, which includes three new restaurants since 2016. Überrito most recently opened its second Phoenix location in the Arcadia Gateway shopping center on March 23, building on the momentum of successful expansion efforts in Phoenix and the Southwest. 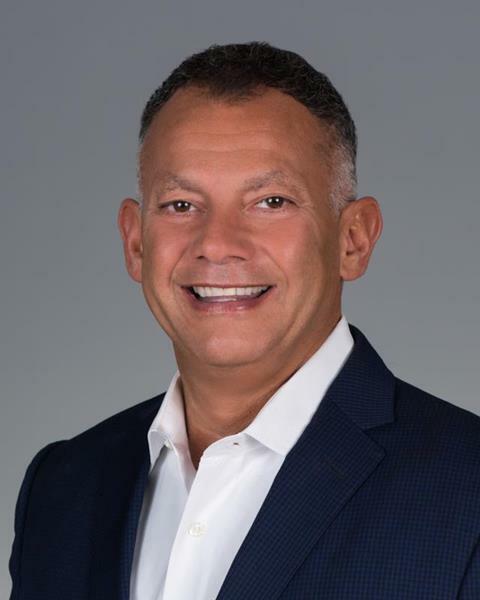 Prior to joining Überrito, Ortiz was Vice President of Franchise Development and Recruitment at FOCUS Brands, where he was responsible for recruiting, awarding and onboarding new franchisees for Moe’s Southwest Grill, Schlotzsky’s and Carvel Ice Cream concepts. Ortiz has executed the sale of nearly 2,000 franchises throughout the United States and Internationally, resulting in millions in revenue for corporations and franchisees. As Chief Development Officer, Ortiz brings nearly 30 years of experience in senior franchise development and brand management to Überrito. His role with Überrito covers all aspects of franchise development, real estate, design and construction, franchise administration and legal. Überrito is part of Mexican Restaurants Inc., which currently operates 47 Mexican restaurant locations across five brands: Überrito, Casa Ole, Monterey’s Little Mexico, Tortuga Mexican Kitchen and Crazy Jose’s. Additionally, the company runs ten franchise locations for Casa Ole. Firehouse Subs Public Safety Foundation® recently approved 78 second quarter grants, totaling more than $1.3 million worth of life-saving equipment to first responders and public safety organizations across the nation. Since inception in 2005, the Foundation has now awarded more than $25 million in 46 states, Puerto Rico and Canada. This past quarter, the Foundation was able to allocate an additional $85,000thanks to guests dining in Firehouse Subs restaurants. The franchise and its founders, both former firefighters, have promised a minimum of $1 million to the Foundation by donating a portion of every purchase made at any U.S. Firehouse Subs location. In addition, the Foundation continues to work towards its goal of ensuring an automated external defibrillator (AED) is in every police cruiser. According to studies by the American Heart Association, using an AED within three to five minutes of a victim’s heart stopping improves odds of survival by nearly 70 percent. Of the 78 grants approved this quarter, 35 were for AEDs, bringing the total number donated to 2,600. Firehouse Subs Public Safety Foundation was founded in 2005 in the aftermath of Hurricane Katrina, when Firehouse Subs co-founders, Chris Sorensen and Robin Sorensen, traveled to Mississippi where they provided food to first responders and survivors. As they traveled back to Florida, they knew they could do more and Firehouse Subs Public Safety Foundation was born with the mission of providing funding, life-saving equipment and educational opportunities to first responders and public safety organizations. Since its inception, the non-profit organization has given more than $25 millionto hometown heroes in 46 states, Puerto Rico and Canada via 2,819 total grants. Each restaurant recycles leftover, five-gallon buckets, available to guests for a$2 donation to the Foundation. Donation canisters on register counters collect spare change, while the Round Up Program allows guests to “round up” their bill to the nearest dollar. Grant allocations are made possible thanks to the overwhelming support of Firehouse Subs restaurants and generous donors. Firehouse Subs Public Safety Foundation (Foundation) is also the beneficiary of a Charitable Sales Promotion where Firehouse of America (FOA) will donate to the Foundation a sum equivalent to 0.13% of all gross sales with a minimum donation of $1,000,000 through December 31, 2017. With more than 10 million first responders in the United States who possess values deeply rooted in community, wellness, and trust, leading global smoothie franchise Smoothie King launched an exclusive program that paves a path to business ownership for America’s bravest citizens. The Smoothie King First Responders Initiative will help law enforcement officers, firefighters and emergency medical technicians open a franchise business that aligns squarely with their desire to give back to the community. Designed for first responders who have completed at least 10 years of service, qualified candidates will receive a 20 percent discount on their initial franchise fee. While Smoothie King and other franchises have long offered incentives to military veterans through the International Franchise Association’s VetFran program, the First Responders Initiative breaks new industry ground. In addition to the discount, all first responders who sign on with Smoothie King will be equipped with the brand’s ‘recipe for success’, including a compliant business model composed of comprehensive training manuals, proprietary processes and a multi-country support team with more than 43 years’ experience. The franchise opportunity offers first responders a maximized ROI, low cost of labor and goods, and the potential for long-term growth. With a total initial investment ranging from $188,200 – $414,050, each franchise location requires a minimum cash requirement of $100,000 and a net worth of $300,000. First responders are dedicated to serving and supporting their local communities and are highly-motivated, passionate, and driven individuals with a strong work ethic– characteristics that align perfectly with the values of a successful Smoothie King operator. The program launch follows a strong year of growth for the brand, including the addition of 100 units which expanded the concept to more than 865 total locations worldwide. The Smoothie King First Responders Initiative is part of a larger growth strategy that aims to expand the brand into new and existing markets such as Atlanta, Chicago, Dallas-Fort Worth, Houston, New Orleans and San Antonio, among others. “The Smoothie King franchise opportunity is a great fit for first responders who are close to retirement yet have a strong desire to continue to help others,” Tramuta added. Domino’s Pizza is celebrating the grand opening of its 14,000th store in in Cyberjaya, Malaysia, outside of the nation’s capital of Kuala Lumpur. The new store is also a milestone for the Malaysian market, as it marks their 200th store opening. It is also the 3,500th Domino’s store in the Asia-Pacificregion. The master franchisee for the market, Dommal Food Services Sdn. Bhd., opened the first store in Malaysia in 1997 and has successfully made Domino’s one of the most recognized brands in the country. Domino’s 14,000th store features the pizza theater store design, which is open concept and brings the art and fun of pizza making to the forefront. It features indoor seating and allows customers to watch their pizzas being made, each step of the way. The milestone store is in the innovation hub of Malaysia, Cyberjaya, as technology is a central focus of the brand in Malaysia. Domino’s operates in over 85 markets worldwide. Domino’s had global retail sales of nearly $10.9 billion in 2016, with more than $5.3 billion in the U.S. and more than $5.5 billion internationally. Kentucky Fried Chicken said by the end of 2018, all chicken purchased by KFC U.S. will be raised without antibiotics important to human medicine. This move marks the first time a major national quick service restaurant (QSR) chain in the U.S. has extended an antibiotics commitment beyond boneless chicken to its chicken-on-the-bone menu items. By the end of 2018, all core products will be free of artificial colors and flavors. Today, all KFC chicken (and most of its menu) is free of food dyes, and 100 percent of the menu will be free of food dyes by the end of 2017 (excluding beverages and third-party products). Today’s announcement is the latest step in the brand’s U.S. turnaround, which focused on returning to its roots and providing finger lickin’ good chicken in every bucket, boxed meal and sandwich. With the Re-Colonelization of KFC, the brand committed to simplifying operations in its restaurants, investing more than 100,000 hours to re-train its team members, bringing the Colonel back in its advertising, remodeling more than 3,000 restaurants over a three-year period, and inviting America to come back and experience the brand they remembered. These efforts have contributed to delivering ten straight quarters of same store sales growth and bringing millions of customers back into the brand. The KFC U.S. antibiotics commitment is also part of parent company Yum! Brands’ continuous improvement in sustainable sourcing and food production, including its global position on Good Antimicrobial Stewardship. There are over 20,000 KFC outlets in more than 125 countries and territories around the world. KFC Corporation is a subsidiary of Yum! Brands, Inc.
Fuddruckers is debuting its first new Houston-area location in almost two years. Opening on April 11, the approximately 4,000-square-foot restaurant is situated at 8510 Creekside Forest Drive on the corner of Kuykendall Road inThe Woodlands. Since 1980, Fuddruckers has been obsessed with making the world happier, one great hamburger at a time. Grilled-to-order burgers feature always fresh and never frozen, 100 percent USDA premium-cut beef with no fillers or additives. Delicious, sesame-topped buns are baked from scratch on-site throughout the day to achieve the perfect combination of crisp crust and melt-in-your-mouth texture. Luby’s, Inc. operates 173 restaurants nationally: 91 Luby’s Cafeterias, 73 Fuddruckers, eight Cheeseburger in Paradise and one Bob Luby’s Seafood Grill. The company is the franchisor for 114 Fuddruckers franchise locations across the United States (including Puerto Rico), Canada, Mexico, Italy, the Dominican Republic, Panama and Colombia. Additionally, a licensee operates 34 restaurants with the exclusive right to use the Fuddruckers proprietary marks, trade dress, and system in certain countries in the Middle East.